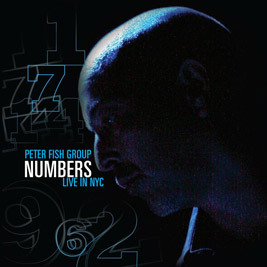 When not with the Peter Fish Group, Abe has been touring around the world with various artists for more than 16 years. His heart-felt backbeat and “shake-your-body” groove have been heard and danced to all over Great Britain, Europe, and Japan with Rob Thomas, KELIS , D’Angelo, Kool And The Gang, and Guy, to name a few. 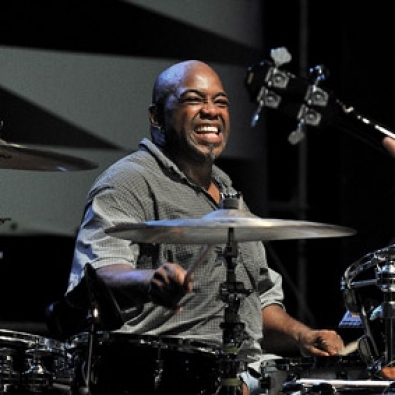 His 2000 tour was a smashing success, which has led to his current position as drummer with Rob Thomas. He has recorded with the Peter Fish Group, Rob Thomas , Chico Debarge , and with Yoshiko Kishino , Kool and the Gang , KC and the Sunshine Band, the Ensoniq sample library, and more. “I just like playing the pocket” says Abe, which explains the demand for his solid, reliable groove.His field is not limited to funk, however. Because of his studies at both Rutgers University and The New School For Social Research. He has also toured with such jazz artists as Phillippe Saisse .Kenny Garrett, Milt Hinton, George Coleman, and Jon Hendricks.